Have you ever had a super warm summer day, and decided to search for some great outdoor youth group games? Are you looking for an enjoyable game to play at summer camp? 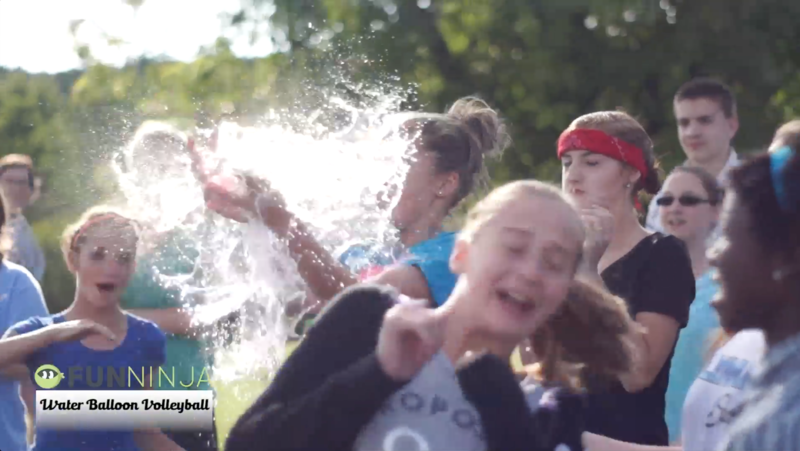 Look no further… this water balloon youth group game is sure to be a hit! 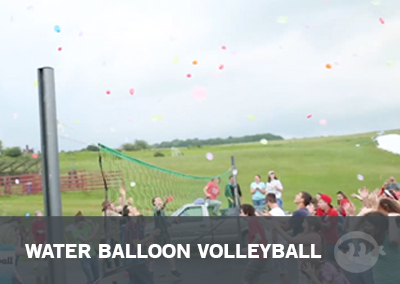 Water balloon volleyball is like traditional volleyball, but with a fun new spin! 1. Water Balloons. 100-200 of them. If you’re wondering how in the world you can inflate all of those just look to Amazon! Pick up a couple packs of THESE. 2. Volleyball Net. If you can’t get your hands on one of these, then you could always tie up a rope at about 8ft high between two trees. Fill up all your water balloons and place them in a plastic trash can (or another large container) filled with water. Filling the container with water helps cut down on the friction of the balloons, and less of them pop! Next, set up your volleyball net. Then, you’re all set! Split your students into two teams. 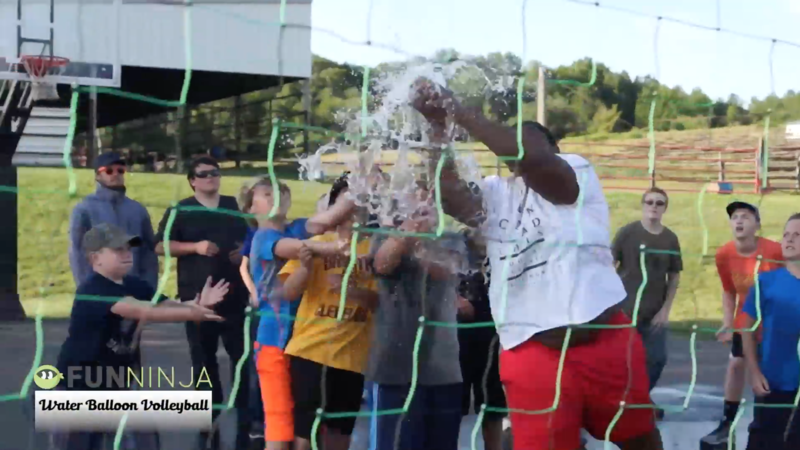 Each team will take turns throwing a water balloon underhand to the other side of the net. The opposing team should try to catch the balloon without popping it! If the balloon pops on the other side of the net, the team who just threw the balloon is awarded a point! However, if the opposing team catches the balloon, they will return it. Continue until the balloon pops! Make sure each throw is underhand and that no one pulls down on the net. 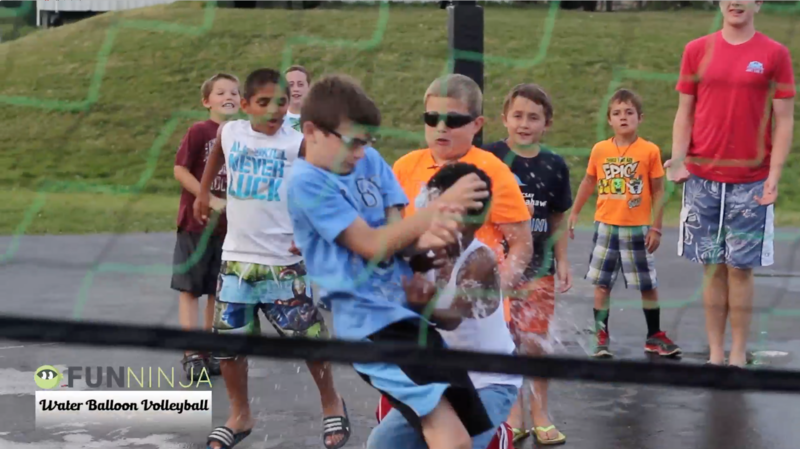 Have fun and get ready to get soaked with this water balloon youth group game! Did you play this water balloon youth group game with your group? Do you have a question about this game? Did you modify it for your context and add something to it to make it more exciting and fun? Please tell us about it by leaving a comment below! We would love to connect with you and there are thousands of youth workers that would love to hear your thoughts and ideas! Do You Know Other Youth Workers Who Would Like This Water Balloon Youth Group Game?